Warning label This Super Betamax machine was produced in 1987 following on from the Sony SL-F30 / SL-F60 slim line models. By 1987 Sony had virtually abandoned promoting the Betamax format within Europe. The SL-S2000 was a fairly basic VCR with no trick playback modes. 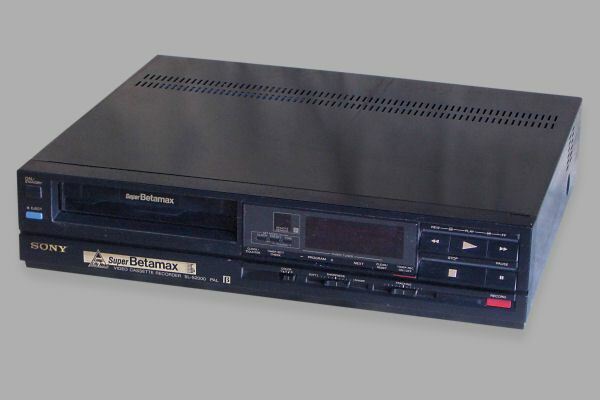 It was one of only a few Super Betamax only machines, i.e. no hi-fi. The supplied RMT-234 remote control is also similar to but a simplified version of the RMT-231 used on the SL-F30. It deletes the channel buttons and up/down side buttons of the RMT-231 in favour of just two front mounted up down program buttons. Internally, it is a considerable redesign making a radical departure from the previous common motor and solenoid selector to move between cassette load function and tape lace by replacing this arrangement with two worm drive motors. This is an identical motor to that of the Sony SLV777 VHS machines and can be the source of a replacement plastic drive when the coupling cracks as it is prone to do as the machine ages and the harden plastic is put under stress. Another significant simplification is in replacement of the two piece black guide post upper mounts with a single plastic section incorporating both mounts. 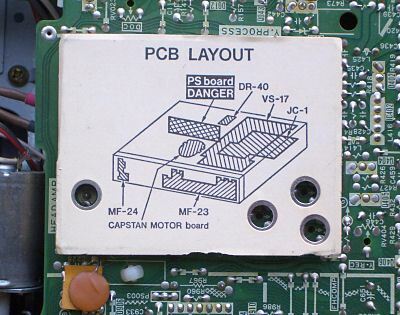 The circuit board has been simplified due to the use of specialised integrated circuits much along the lines of later VHS machine designs which simplifies cost and production. The same type of IC was also present in the SL-F30 and SL-F60 machines but they had more circuit boards overall and much more hardware. Note the warning sign in the centre of the machine! The power supply lead mains voltage connections in the machine are relatively easy to touch accidently with the covers off.